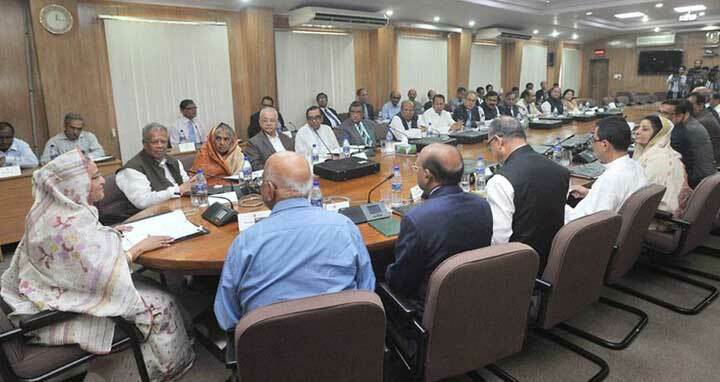 Dhaka, 4 June, Abnews: The Cabinet today constituted a committee, headed by Principal Secretary to the Prime Minister’s Office (PMO), asking to further scrutinise the draft of the proposed Bangladesh Tariff Commission (Amendment) Act, 2018. The decision was taken in the weekly meeting of the cabinet held at PMO with Prime Minister Sheikh Hasina in the chair. Ministry of commerce placed the draft in the weekly cabinet meeting for approval, but the cabinet after threadbare discussion returned it back with proposal for further revision, Cabinet Secretary Md. Shafiul Alam said.